This entry was posted on Sunday, July 26th, 2015 by Frances Ryan. At the start of the year, I began thinking about my 2015 running goals. I knew I would want to improve my times, and that I’d likely end the race season with the Loch Ness Marathon at the end of September. What I hadn’t realised is that my plans would slowly morph into me running a race every weekend in September, for a total of 58.6 race miles. It started out innocently enough with my plans for the Scottish Half Marathon (again) and the Loch Ness Marathon (again, again, again) on the last two weekends of the month. But then, just before the Edinburgh Half Marathon in May, my race partner asked if I’d be up for the Braemar Half Marathon on the second weekend of September. Not one to back away from a challenge, I said I’d be up for it. Two half marathons in the two weeks before a full marathon wouldn’t be that bad, and I could treat them as long training runs for the marathon. So I decided I have to run a race on the first weekend of September, too. And that’s where the Dirleton Run comes in. 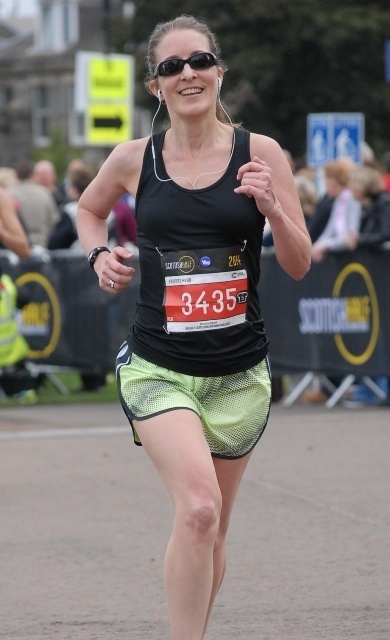 It’s a gentle 10K that runs through the Archerfield Estate and the village of Dirleton. And it’s not too terribly far from home. All of that means that I’ve got a lot of preparation to do for September! It also means that, even if I get lazy and don’t train as hard as I should, I’ll have a few miles on my legs before the Loch Ness Marathon. I’ll spend the rest of July and all of August preparing for this madness. And hopefully, the extra running will mean that I’ll feel more energised. And hopefully the extra energy will mean that I’ll feel more willing and able to run even more! I guess that means I’ll be keeping up with the Tabata classes then! Yay! Frannie! Wow! You look great and I had no idea that you were a runner! Fabulous!